Before visiting the windmills it would be nice to know something about them, and about why they are so appreciated. 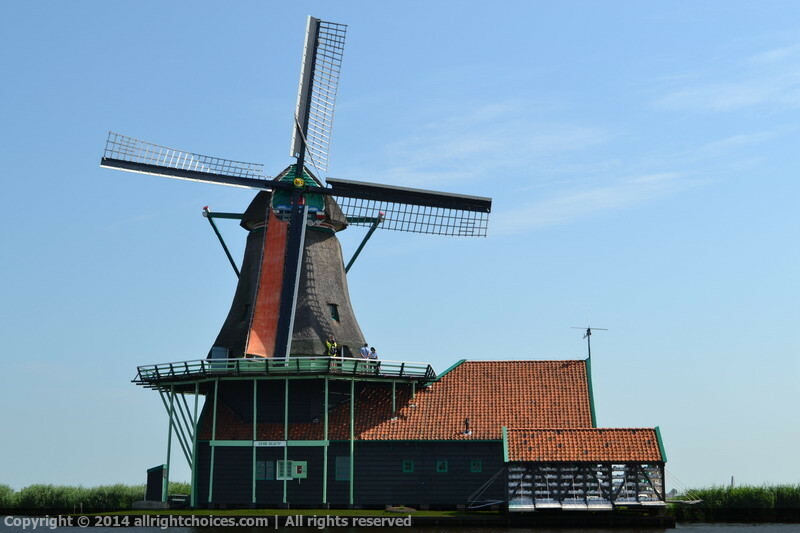 Yes, the mills are fascinating to watch, but the looks are not what drove Dutch people to build them in first place. 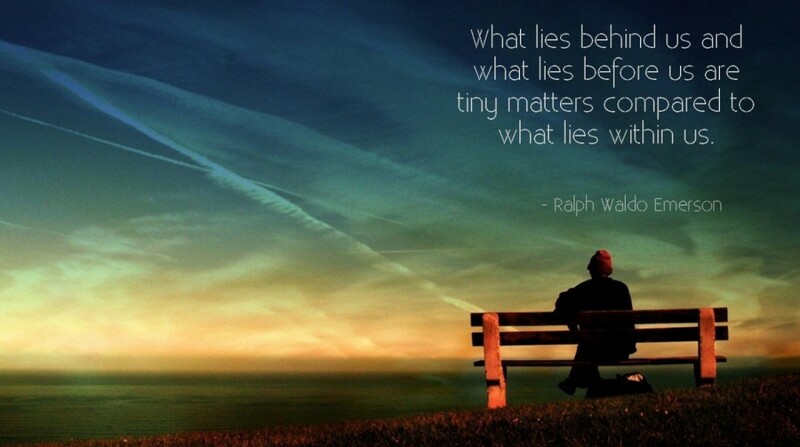 So, then why so many windmills? The first time in Dutch history when windmills are mentioned, is around the year 1200. 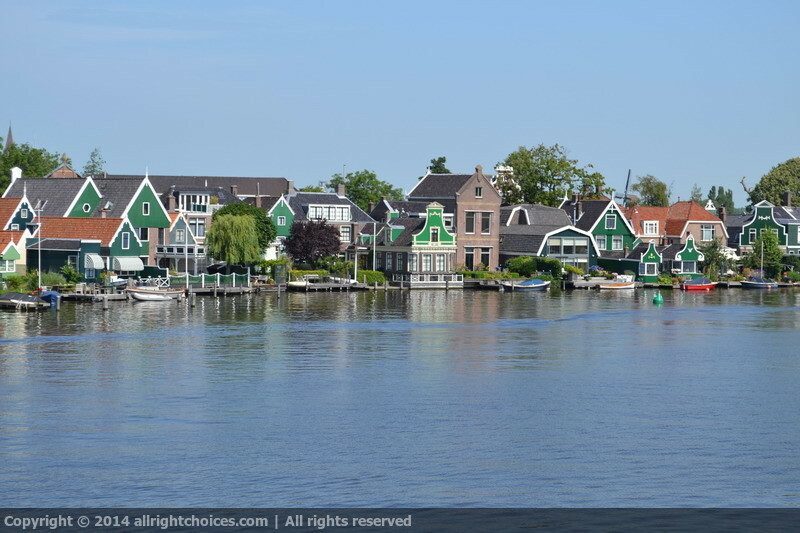 During that time, the country wasn’t the ideal place to live in, as Netherlands was a combination of swamps and wetlands, separated by sea and sand, with cities and villages often destroyed by terrible floods. As soon as the water was pushed away after the construction of dams, the windmills were built as an effort to drain the land. 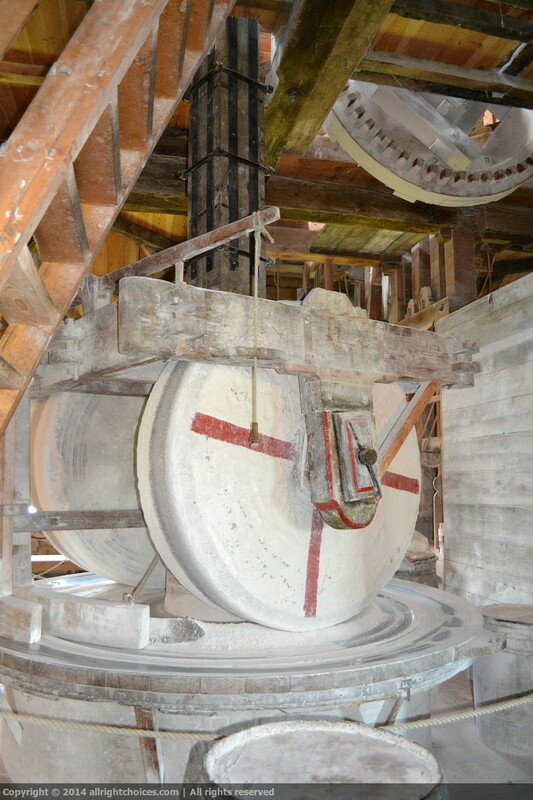 In the 16th century, after a few adjustments to the structure of the mills, they started being used in the building ships industry, and in the flower, oil and mustard production. This caused an explosion of mills to appear everywhere around the country, and by the 19th century, their number was close to 9,000! How not to love them? 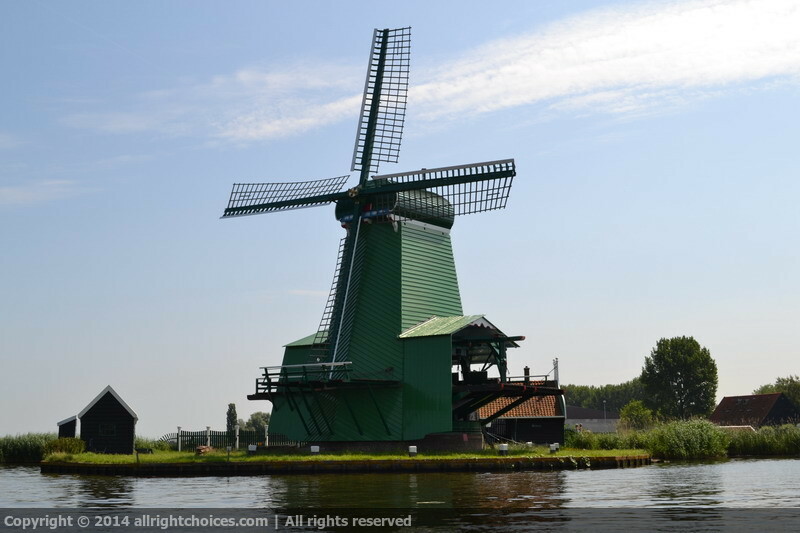 Netherlands is where it is today, because of the mills! 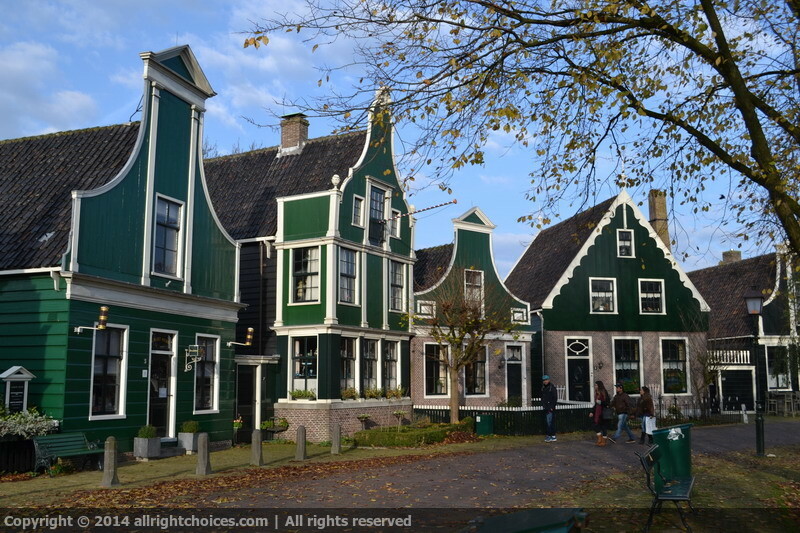 The fascinating village is located in the province of North Holland, on the banks of Zaan river. 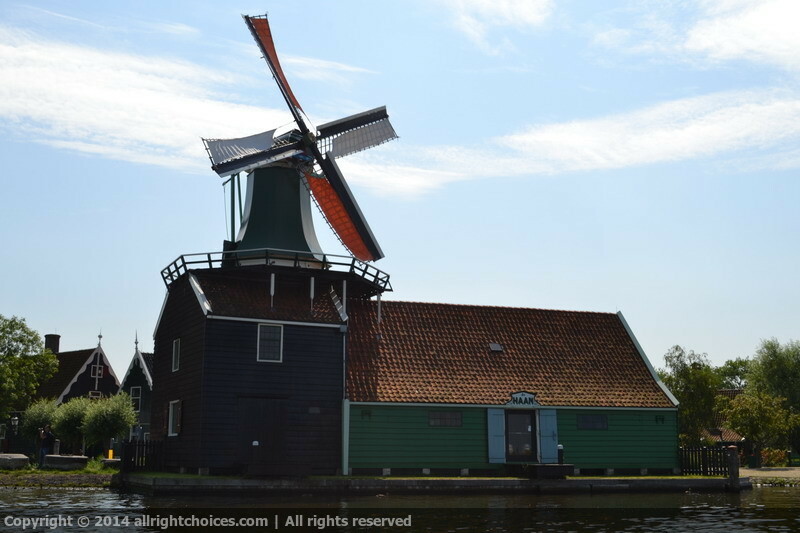 With a history dating all the way back to the 17th century, Zaanse Schans is a stunning community, which consists of historic windmills and traditional style houses. Because of the rapid urban development in the region, many windmills and buildings were moved to Zaanse Schans from other parts of the country. What I’ve found particularly extraordinary are the efforts made to restore the windmills and keeping them running through the years. Also, all the windmills are working, performing various functions. The village is absolutely gorgeous and the color combinations blend perfectly with the colors of nature. 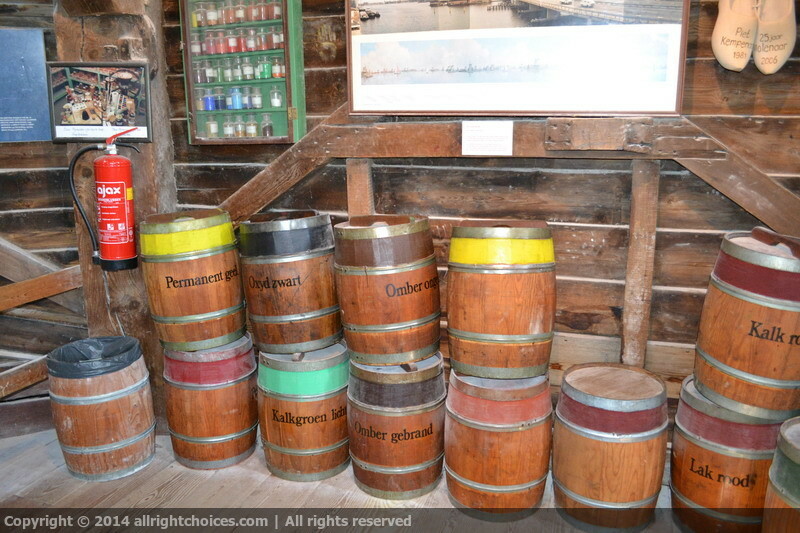 In the area you can visit saw mills, mustard mills, grinding paint pigments mills, and oil mills, every single one with its own fascinating history and evolution. There is so much to say about the mills. Every story is complex and complicated, presenting the twisted evolution and change of every windmill, through the time. Also, no story is even close to any of the other stories. 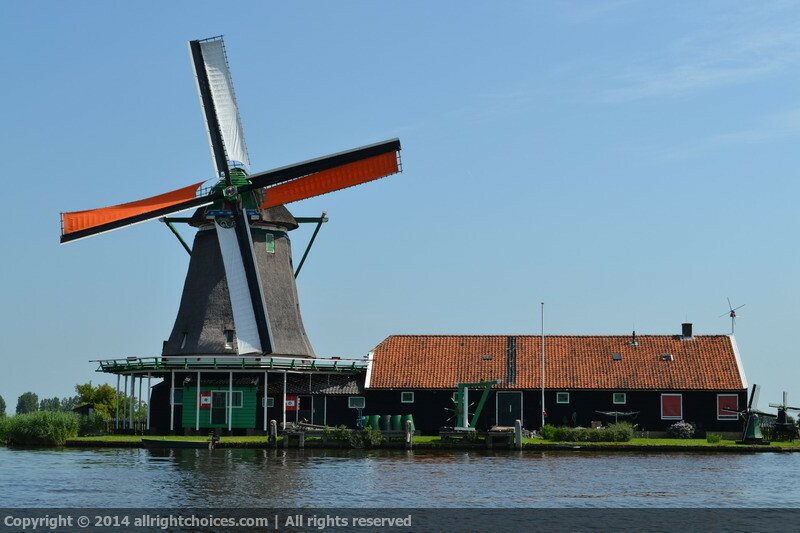 Here are a few of the most important moments in the life of Zaanse Schans’ mills. De Huisman – located in the village since 1955, is a mustard windmill, built in 1786. The mill was previously used as a tobacco mill, and later as a sawing mill. 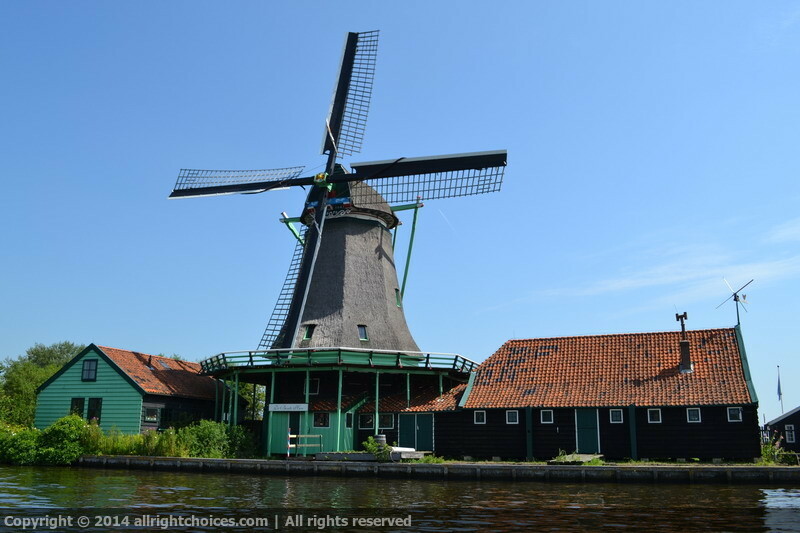 Only after the move to Zaanse Schans, the mill became once again a mustard mill. 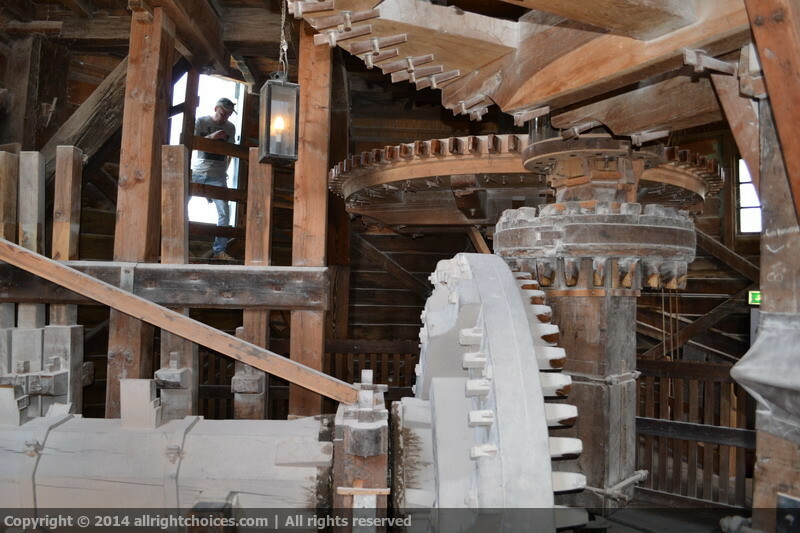 De Gekroonde Poelenburg – is a paltrok mill, used as a wind-powered sawmill, listed as a Rijksmonument. It has a complicated history, and is the result of several combined windmills. Originally built in 1869 in Koog aan de Zaan, the mill was rebuilt completely, after a fire destroyed it completly. It was moved in the village in 1963. De Kat – is the only remaining working windmill in the world which makes paint pigments, the old way. It was built in Kalverringdijk between 1646 – 1696, working initially as an oil mill. In 1782 it was destroyed by a fire, being rebuilt fast afterwards. It’s been in Zaanse Schans since 1960. De Zoeker – is a very old oil mill, built in 1672 in Zaandijk, where it was used initially for draining the land, later for paint, and even later turned into a oil mill. Now that’s what I call adapting. Relocated in 1968, the move was extremely difficult, taking one day and one night, during which the mill was transported also by boat and lifted over several railway lines. Het Jonge Schaap – is a sawmill originally built in 1680 in Westzijderveld, used until 1942, when it was demolished. It was rebuilt in 2007, using as much as possible the 17th century methods. De Bonte Hen – is a oil mill built in 1693, with a long history of lighting strikes and fires, always making a miraculous escape, in time. I guess we are lucky to still see it around. 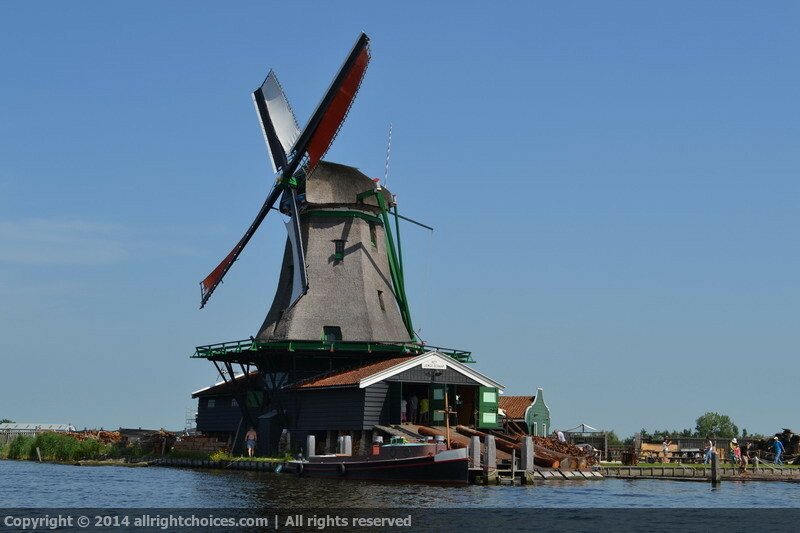 The best way to see the windmills and learn something about the history of Zaanse Schans is by boat, so I highly recommend a cruise on the river. Besides the windmills, which obviously are the main attraction, you can also see demonstrations of crafts, from woodworking to cheese making. Unfortunately the village became a bit too touristic in the past years but it still has its charm, thanks to the constant efforts made to keeping alive the spirit of the old times. All the windmills are beautiful, and definitely worth seeing. It’s hard to pick a favorite, but I guess we all have our own. Which one is yours? 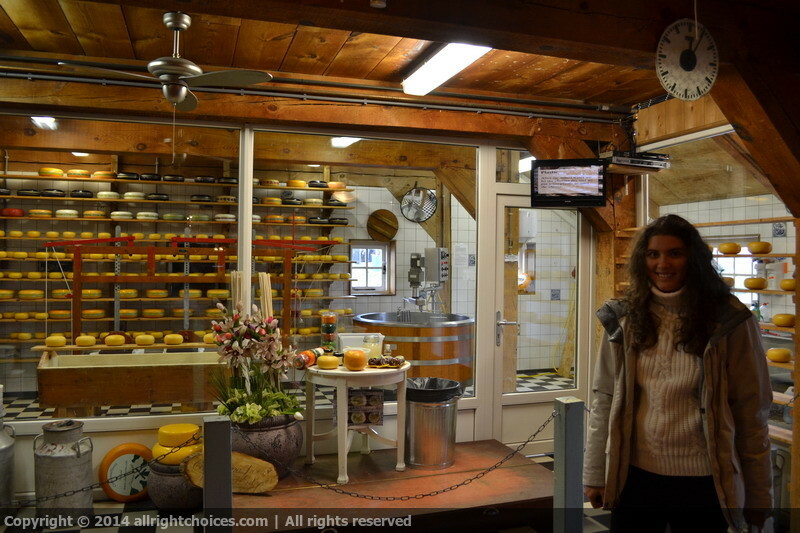 This entry was posted in Travel and tagged build, cheese, crafts, De Bonte Hen, De Gekroonde Poelenburg, De Huisman, De Kat, De Zoeker, Het Jonge Schaap, mill, mustard mill, Netherlands, North Holland, oil mill, relocating, saw mill, story, windmill, Zaan river, Zaanse Schans by Lucy. Bookmark the permalink. Very interesting post. 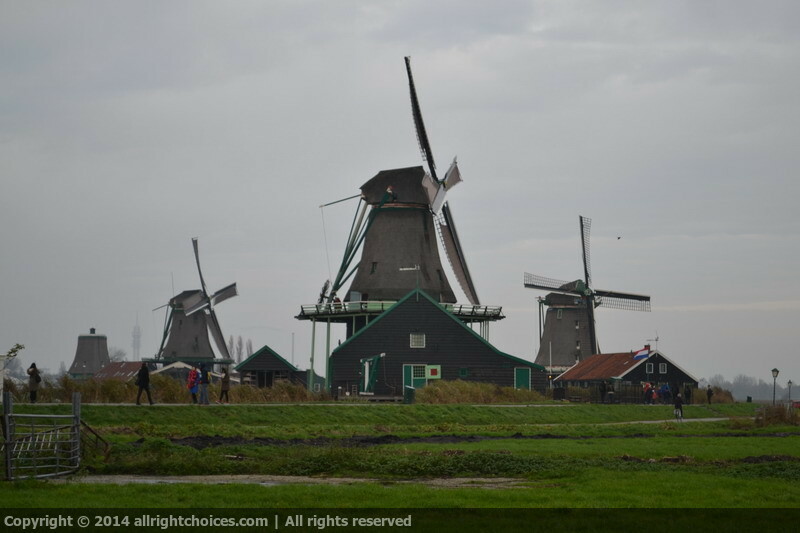 It demonstrates that the Dutch were into alternative energy wind power so very long ago. Great photos too! Same thing here. I travel all around the world with my blogger friends 🙂 Thank you again, for stopping by! I’m sure you won’t regret it. They are amazing to watch. Thank you for reading 🙂 Have a lovely day!